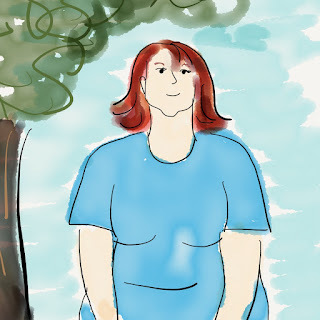 I sat in my primary care doctor's office and told him my concerns about my weight gain. "Well, Mrs. Hutchison," he said in a kind voice. "You simply have to eat less and exercise more." "But I'm exercising every day." "Then focus on eating less." I went to my gynecologist to have my hormones tested. (I read in a Facebook article that could be a thing.) She reported that it wasn't my thing. "You simply have to eat less and exercise more." When I gained weight, she thought I was cheating. A few months later, I heard Jeff Sanders of the 5AM Miracle podcast interview Josh Trent of Wellness Force. I'd never heard anyone talk about fitness like this. Josh's ideas were completely counter to everything I'd ever been taught. He acknowledged that people were biologically different to each other and had different drivers. He talked about leveraging the data of testing and wearables like my Apple watch. He also talked about the role emotions play in holding on to old weight. When I started listening to the Wellness Force podcast, I noticed a stunning difference in the dialog between Josh and his guests. Weight wasn't about being lazy or binging on cookies. It was about WHY your body was too tired to work out. It was about the drivers for craving foods that weren't nutritional. It was about the emotions that keep us stuck. It was about the decision fatigue that drains our ability to follow our plans. After listening for a few weeks, I checked out the Wellness Force website and came across an "anti vegan" article. I'm not sure why I assumed Josh was vegan (maybe because Jeff Sanders is?) Anyway, I sent Josh an e-mail with questions about the article and he responded with, "Do you have time for a 10 minute Skype conversation?" On our call, Josh explained that it didn't matter what ideology I held in my head or what compassion I had in my heart, if my biology wasn't on board, I was in trouble. He challenged me to get some testing done at Wellness FX along with a DexaScan and 23andMe. I gulped. Insurance wasn't going to pony up for this. I learned Josh took a handful of coaching clients each year and asked if he had the bandwidth to add me as one of them. I sent him my test results and in our early sessions, we agreed I would add fish, eggs and vegan protein powder to my diet. He started by working with me on hydration, sleep, nutrition and activity. I thought I was pretty active. Josh—who could see what was happening on the Apple watch—upped my game. After eight months of tweaking my lifestyle—not just the physical aspects, but also working with time, stress and emotion—I was gaining weight. Not losing, which is what I had hoped. Josh said, "Cathy, based on what I'm seeing with your tracking, you shouldn't be carrying this extra weight. I want you to go see a functional medicine doctor. There is something else going on with you." What's a functional medicine doctor? Functional Medicine doctors are DC's and MD's who reject the 5-minute-office-visit-resulting-in-a-prescription model to address the underlying causes of disease. Josh sent me the link to this website to find one in my area. https://www.functionalmedicine.org I made an appointment with Dr. Christina O'Brien. We spent almost an hour together to talk about what I was experiencing. I sent her the tests I'd done before working with Josh. Dr. O'Brien went through the tests and said, "Your body isn't absorbing carbohydrates, proteins or nutrients. I know this might surprise you, but your body thinks its starving. I want to look at genetics, hormones, adrenals and check for parasites." At this point, this was the most time any doctor had ever spent with me talking about me. I went in for a blood draw to get the additional tests. I learned I have HLA-DQ2. That's the Celiac Disease gene which makes your body treat wheat as an enemy. (The other gene for this is HLA-DQ8.) It also means your body reacts to casein—a protein found in dairy. I discovered I have the MTHFR mutation. It provides instructions for making methylenetetrahydrofolate reductase which apparently plays a role in just about everything your body does—including absorption of nutrients. There are other issues related to hormones and nutrients, but Dr. O'Brien explained that if we heal the gut, the other issues will heal too. I've spent my life running away from my mom's weight. She has struggled her whole adult life being over 300lbs with the host of health issues that entails. I thought if I was just willing to work hard enough—willing to do whatever I needed to do—that I could outrun that. And so I researched. I read diet books. I did so many crazy things. Everything from limiting myself to 1000 calories a day to drinking apple cider vinegar. Vegetarianism connected me to real food and a focus on vegetables—which was a big win and improved my health. But since I didn't know what was actually going on with me, I was blindly experimenting. What if we've been looking at diet and exercise all wrong? What if big box gym trainers, popular diet books and Instagram celebrities aren't actually helping? What if lap bands are a fraud yet people don't report it because they feel like they are the ones who failed? (I have so many friends who have experienced this.) 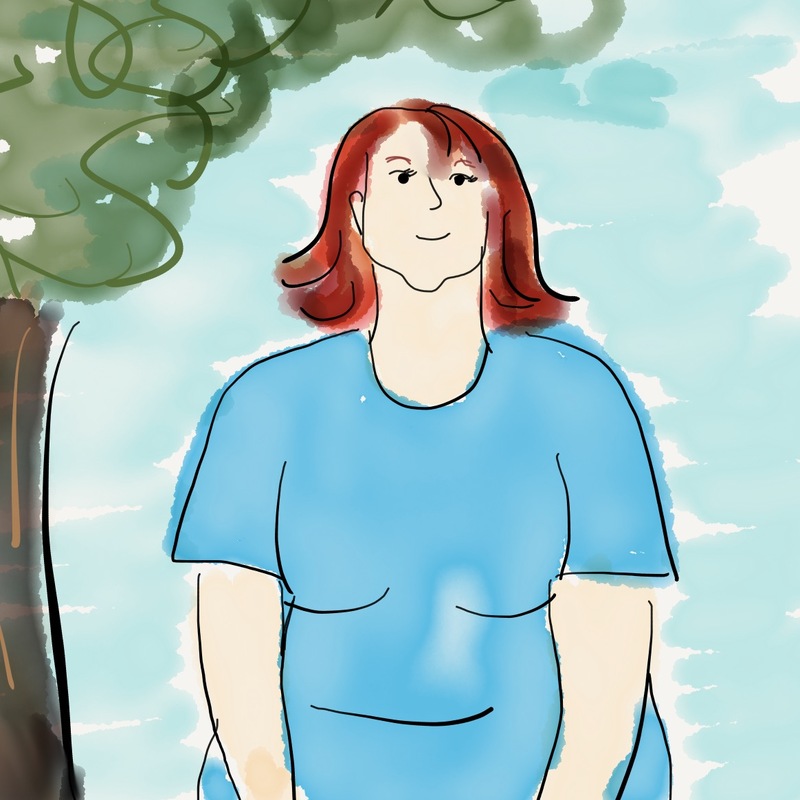 What if the shame that surrounds weight keeps people from engaging the process at all? One thing is for sure, for the first time in my life, I actually know where to target my efforts. And thanks to an enlightened podcast host, an Apple Watch, and a doctor who is exploring a model outside of "5 minutes and a prescription," I may actually win the weight game.